Just the name conjures up mysterious treasure, mythical stories, and mountains of adventure. 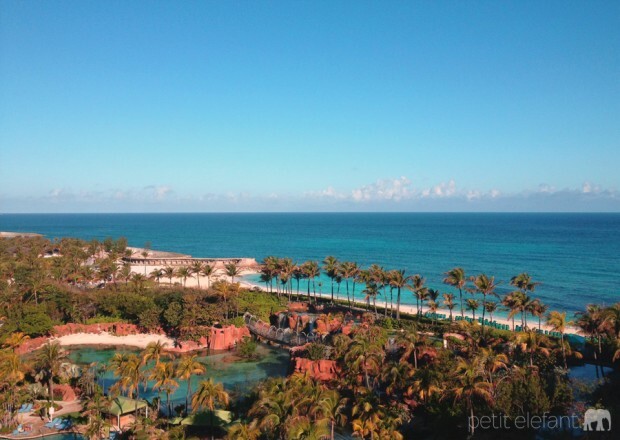 The Atlantis resort on Paradise Island in the Bahamas offers up all of that intrigue. My husband and I visited Atlantis in October of 2008. It was a sales incentive trip through his company. It was an amazing trip, but I desperately missed our young daughters, who were just four and two years old at the time. We kept thinking, during that trip, of how lovely it would be to return with our girls, once they were older. In February of 2013, we were able to do that. We were grateful that it was another sales incentive trip, so we only had to purchase flights for our daughters. I’m not going to sugar coat it, Atlantis for families, is an expensive vacation. Yes, the resort runs deals, and special offers throughout the year, and I do recommend you take advantage of them. Since everything has to be brought to the island, there’s no way around the high prices, even when someone else is footing the lodging bill. However, there are things you can do to try to save your budget. Since we had been to the resort once before, we decided to pack some essential food items that didn’t need refrigeration; bread, muffins, breakfast bars, snacks, beef jerky, anything non-perishable. You can also have your taxi driver stop off at a grocery store before the resort to pick up water and any drinks, or snacks you might want. Trust me, it’ll be much less than inside the resort. The Reef – We loved staying at The Reef in 2008. It’s such a convenient set-up with kitchens. The views from The Reef are gorgeous. The Reef and The Cove are in the same vicinity, and they offer a bit more luxury to your family’s stay. Coral or Beach Towers – We stayed at the Coral Towers in a suite in 2013. 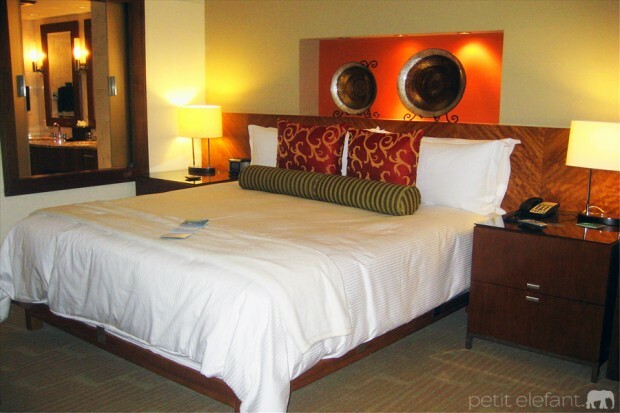 The suite was a nice layout, as it had a large bedroom for my husband and myself. The girls slept on the sofa bed in a large sitting room. We also had two balconies overlooking the resort, which we took advantage of. These are more moderately priced accommodations. They are great for families, but do not have kitchens. Harborside Resort – This is an area with villas, that do include kitchens. They are off the water park property area, but offer an all-day shuttle to Atlantis. We’ve never stayed here, but it looks more moderately priced than the other options. Starbucks – I know. Even on Paradise Island, Starbucks reigns supreme. For the best value for breakfast, try the breakfast sandwiches, parfaits, and croissants. You’d be hard-pressed to find a better deal on the resort. Mosaic – The buffet is no joke, pricey for any buffet. However, make it an odd-hour meal and you will be fine for two meals. The food, when we visited, was really well-done, and the desserts were absolutely beautiful. Nobu – I love Nobu. For reals. It’s pricey, but the food and the flavors are exquisite. If you’re only going to splurge once, do it here. Dune – Dune is actually at the next property near Atlantis. It’s at the One & Only Ocean Club. We wanted to try this place with our daughters, and it was a gorgeous dining experience. It’s one of the loveliest, fine dining locations. The views are spectacular, if you dine outside, right on the beach. Dune is a mix of French, Asian and Bahamian influences by Chef Jean-Georges Vongerichten. There’s a shuttle you can take to enjoy a meal there. 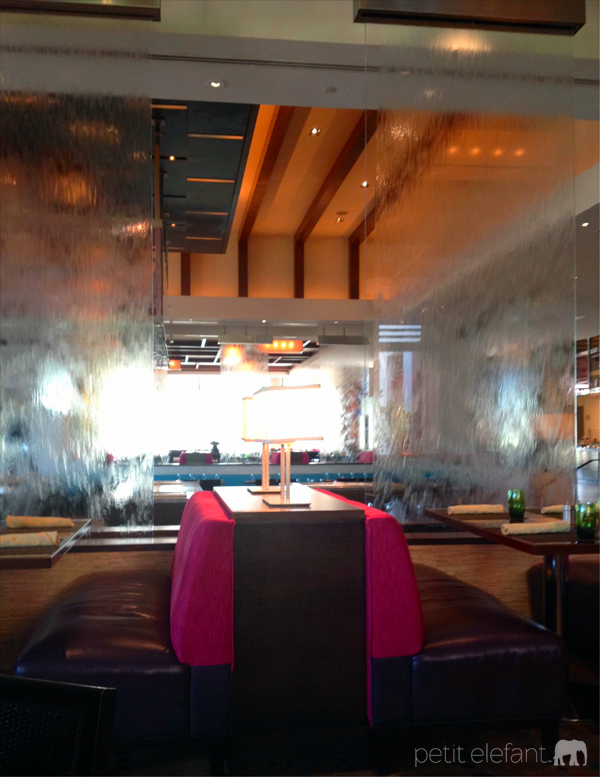 Mesa Grill – We tried Bobby Flay’s Mesa Grill and we loved it, with a caveat. We only liked Mesa Grill at Atlantis. We’ve tried Flay’s Mesa Grill in Vegas and were sorely disappointed. Carmine’s – We hit Carmine’s on our first night there with our girls. Our flight got in late, and we were thrilled to find it open. It’s a very New York, Italian-style setting. If you’re looking for large portion sizes, calamari and other Italian favorites this is the place. Be prepared for giant mounds of food here, we had leftovers galore. Bimini Road – We wanted to get a more bahamian feel, and thought we’d try conch here. We did. It was, alright. Shark Bites – This is a quick service area, near the pools, just simple, fast food to get you by when you’re too relaxed to move. Water Park – If you love water slides, you’ve hit the jackpot by visiting Atlantis. The most famous, Leap of Faith, is a heart-stopping almost vertical drop of 60 feet, located at the Mayan temple. Keep your arms crossed and toes pointed. The drop takes you through a clear tunnel in a shark-filled lagoon. I’m not the most daring person in the world, I’m all about safety, so my husband lured me up to the Leap of Faith. He convinced me to just take a peek. Then somehow he was able to get me to just sit and peek a bit more, and then before I knew it, I was shoved off and that is all I remember. Thankfully I did remember to cross my arms and point my toes, but my eyes were closed, and I was screaming, so I didn’t notice the sharks. If you want to see the sharks, take the Serpent Slide, also at the Mayan temple. It’s a five-story corkscrew slide that will take you through the dark of the Mayan temple, and end in a leisurely ride through shark-infested waters. I was happy to go on this slide a few times. The Serpent Slide riders sit on an inflatable tube. I always felt more secure on the slides with the tubes. After plummeting down the Leap of Faith, it was only natural to race my husband on the Challenger Slides. These slides are also at the Mayan temple, and they have time clocks to see just who went the fastest. The Abyss was another slide we did. Turns out it’s only a 50 feet near vertical drop through absolute darkness, but it ends in this lovely area, through waterfalls into a place called The Cenote, which feels like you’ve discovered your own secret hideaway. My favorite slides were all the ones where you rode an inflatable tube, The Surge, The Drop, and The Falls. 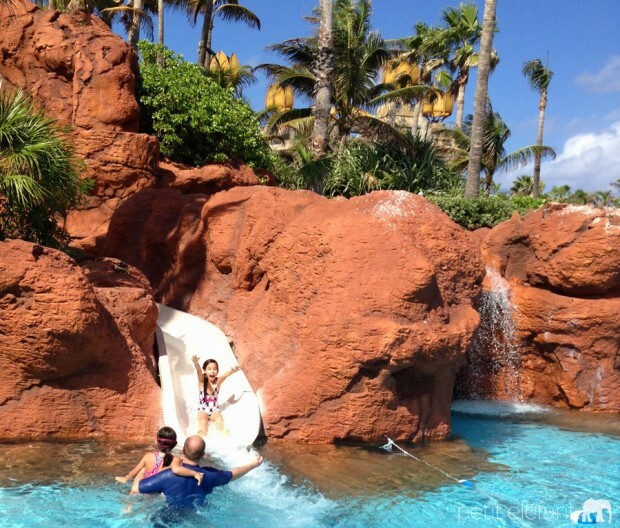 The great thing about the Atlantis water slide system, is you don’t have to get out of the water. You can just sit in a tube all day, and their smart water system will move you to most of the slides. The Mayan ones, you do have to get up and walk to, but the others, just sit yourself down and scream, or wend your way through the water all day. My daughters loved the Jungle Slide. They also enjoyed Splashers, a Mayan-themed kids pool area, that’s like a big water jungle gym. As a family we enjoyed the Lazy River and The Current. The Current will take you on a continual ride to, and from the water slides. If rides and slides aren’t your thing, or you just need a break, the property has more than 10 different pools, and two gorgeous beaches. You’re sure to find somewhere to dip your toes in. Marine Habitat – A unique feature of the Atlantis resort is their abundant marine habitat. Keeping with the Atlantis theme, you can stroll through The Dig, where you step back in time, and find unique treasures. The resort is also filled with 14 various Lagoons housing a variety of more than 50,000 aquatic animals from more than 250 species. One of the Lagoons, Ruins Lagoon, offers guests the chance to snorkel with 20,000 deep reef and pelagic fish. 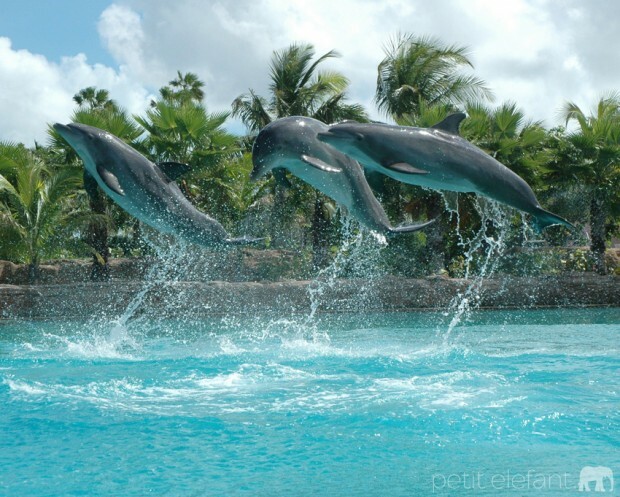 Dolphin Cay – This is one of the largest marine habitats and animal rescue-rehabilitation facilities in the world. Here guests can learn about and interact with dolphins and sea lions. Or, you can just purchase a Dolphin Cay Beach Pass and hang out on the beach watching the dolphins swim and play next to you. My husband and I participated in the deep water swim with the Dolphins in 2008 and it was amazing. You take snorkel gear and you get to swim with the dolphins. It gives me chills thinking about it. When we went back in 2013 with our daughters who were, nine and seven years old, both wanted to swim with the dolphins. We felt they were a bit too young for the deep water swim, so we just did the shallow encounter. They loved it. 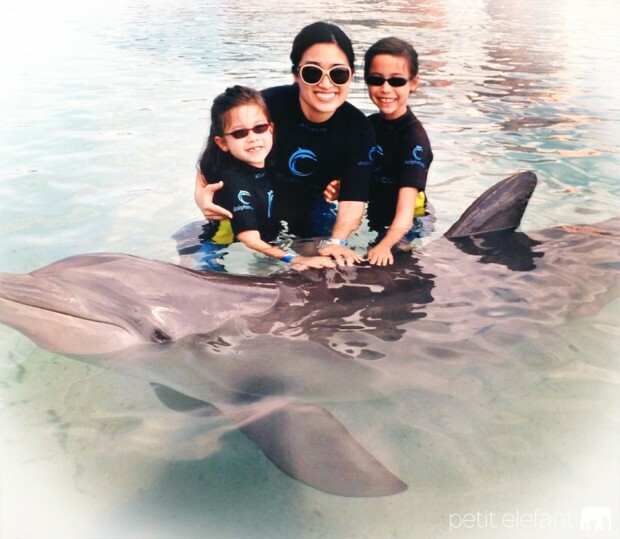 They already want to go back to do some real swimming with the gorgeous dolphins. Kids – Atlantis offers a kids club with activities and groups geared to Toddlers (1-6), Preteens (7-12) and Teens (13-17). There’s Crush, a dance club just for teens, Gamers Reef filled with all sorts of gaming consoles, and Atlantis Speedway for kids who want to design, build, and race remote controlled cars. There’s also an Earth & Fire Pottery Studio for those looking for some quiet, artistic time. If you want to catch blockbuster movies, those are free at the Atlantis Theatre. When we were there our daughters participated in a cooking class. They thoroughly enjoyed it. They still talk about the savory and sweet breads they made, and shared with us, when they brought the breads back to our room. There’s an endless list of things for kids to do. I’d be surprised to find any kid who didn’t know what to do with their time. More likely they’d be baffled as to how to choose just one thing to do. Frankly, my dears, this is just the short list of places to stay, things to do, see, and eat. There’s so much more. Remember to pack your passport, bring all of your swim suits, and enough sunscreen to keep you from burning, because you’ll be exhausted from all your relaxing. I’ve been to Atlantis three times in the past two years and honestly, I’m always a little surprised by how many families flock there (especially for the cost). I find the food choices limited and the original hotel a bit shabby. It’s definitely do for a renovation and some new fast-service restaurants. That being said, the beaches are beautiful, the people are friendly, it’s easy to get to, and The Cove is great if you want to remove yourself from the family atmosphere but not go all party city. True the cost is a rather prohibitive. However, the sheer amount of water fun to be had is a draw. There really is an endless amount of things to do for families. The Reef and Cove are absolutely lovely, but yes, the other areas could use with some updating. I agree, The Cove is perfect for folks traveling without kids. I do hope that Atlantis looks to update their food choices with quality food that is more family-friendly when it comes to costs.